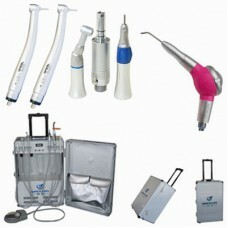 Dental autoclave sterilizers play a significant role in the daily functioning of dental operatories. And recently sterilizers becoming even more advanced and efficient due to advances in technology. Automatic Sterilizer now provide an intuitive display and simple prompts that help you easily select the cycle you need…whether it is for unwrapped items, pouches, packs or dental handpieces. Once the sterilization process is complete, the door conveniently opens automatically and quietly to dissipate the steam and provide fast and efficient drying of your instruments. Sterilizers can be a somewhat costly addition to a dental operatory, the time and money that they save dentists down the road is substantial. Taking a few pointers into consideration and performing routine checks and replacing old parts on your unit can help maximize the life and functioning of your model. Door Gasket: To replace the door gasket, begin by simply removing the old door gasket. Clean the gasket groove in the door, and chamber face. For easy installation of the new gasket, use the “South-East-West-North” method (i.e. begin installing the gasket at the bottom of the door, then install the left and right sides and finishing at the top by squeezing in any of the excess making sure that the gasket fits flush). Chamber Filter (sintered bronze style filter): If the machine has only a Chamber Filter – Remove all trays and the rack from the chamber. Clean chamber then remove the old chamber filter. Install a new filter. Reinstall rack and trays. Chamber & Vent Filters (mesh style filter): If the machine has both a Chamber and a Vent Filter – Remove all trays and the rack from the chamber. Clean the chamber, then remove the chamber filter. Install the new filter. You must also replace the Vent Filter that serves as a filter for the steam trap/bellows and is located in the vent line to the tee fitting. Reinstall rack and trays. Sterilizer: After replacing the PM parts, check the reservoir and clean if dirt or debris are present (Note: Debris is the number one reason for Steam Trap/Bellows failure). Refill reservoir with distilled water only. Conduct a temperature check using a Max Register Thermometer. Conduct a pressure check to identify any leaks that may need to be addressed. If calibration is necessary, use the RPI Pressure Gauge and the RPI Trim Pot Tool. Sterilizers also useful to destroy or remove dangerous microorganisms from the surface of objects. there are so many methods to apply sterilization process. A glass bead sterilizers are most usable equipments in the Medical laboratories for the sterilization process.